HomeBlogCan I go on a Desert Safari in Dubai in Summer? Can I go on a Desert Safari in Dubai in Summer? 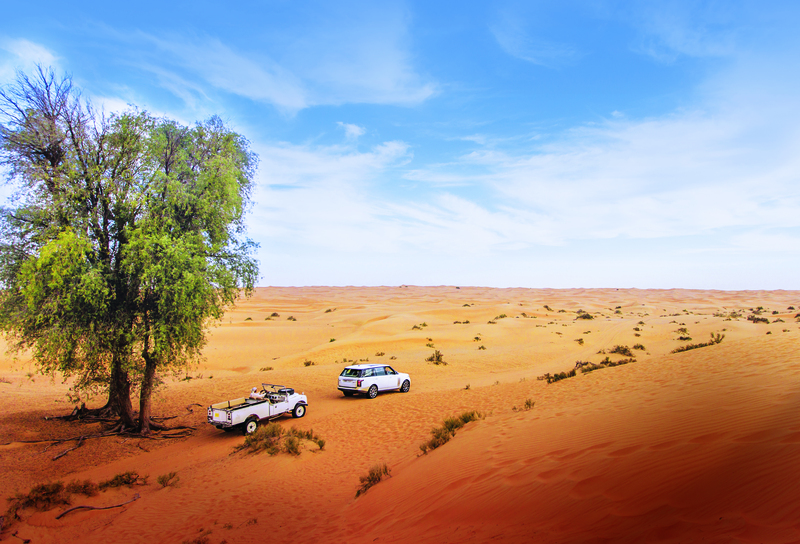 Many people travelling to Dubai during summer wonder whether it is possible to still do a desert safari. What most don’t realise is that the desert is actually cooler than the city in the late afternoons and evenings. This means that it is definitely possible to do a Desert Safari in Dubai during the summer. We have also made a few changes to our desert safaris to accommodate the increase in temperature. The air over a desert is very dry and has extremely low humidity. Water vapor is the most significant greenhouse gas to moderate the earth’s temperature. Since there is so little water in the desert the ground doesn’t retain it’s heat making the desert cooler by up to 7 degrees Celsius at night than the coast. To make the most of being outdoors in the evenings, we offer astronomy as an addition to all our safaris. As the desert sands are dry and it takes longer to heat moisture than air, the desert heats up rapidly in the morning but cools quickly in the late afternoon. 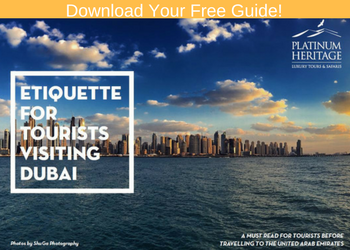 This is why we have cancelled our morning tours and offer our Desert Safaris in Dubai in summer during the late afternoon and evenings. Bedouins built their desert camps on top of sand dunes to make the most of the natural breeze as this has a cooling effect. Platinum Heritage has done the same and our desert camp is the only one built on the top of a sand dune. We also make the most of modern comforts and have cooling units in our camp along with offering cold towels. 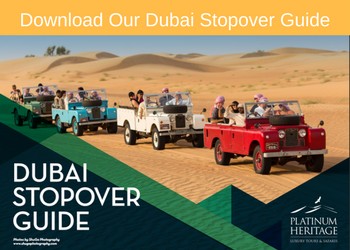 Feel the breeze in your hair on our signature Heritage Desert Safari in vintage, open-top Land Rovers. 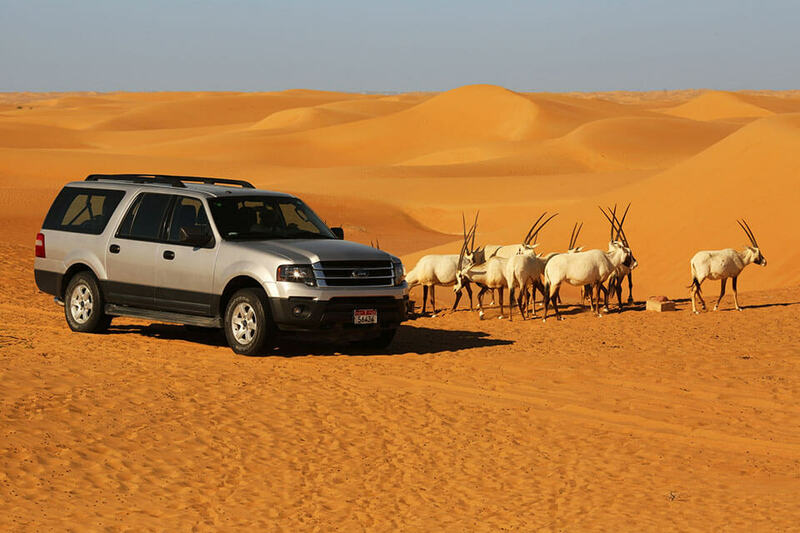 If you would prefer a closed air-conditioned car to explore the desert and wildlife, then you can opt for this at no additional charge. You can also choose to upgrade your vehicle to a luxury Range Rover for an extra fee. This summer we have also added a special edition Emirati Cuisine tasting on our most popular desert safaris. Discover rare delicacies of the region like fresh Arabian oysters, desert truffles and a variety of local cheeses. Our desert safaris continue to operate daily throughout summer and we look forward to you joining us in the desert!